Grattan Massacre (Aug. 19, 1854) --27 U.S. soldiers killed in a clash with the Brule Sioux. Spirit Lake Massacre (March 8 & 9, 1857)--Attacks by renegade Wahpekute Sioux (15 warriors) in killing 35 to 40 settlers in Iowa. Last Indian-White warfare in Iowa. Susquehannock War (1643)--The colony of Maryland vs. the Susquehannock Tribe (which was given arms by the settlers of New Sweden). de Soto's Expedition (1539-1542)--Spanish expedition led by Hernando de Soto which traveled from Florida through Georgia, the Carolinas, Alabama into Arkansas and Texas, raiding Indian villages along the way. The largest battle of the expedition was at Mabila (present-day Selma, Alabama). 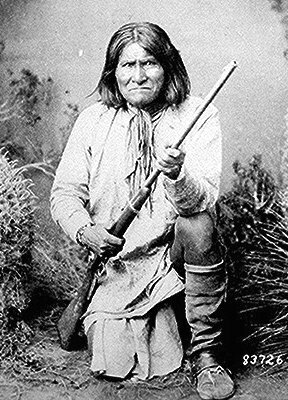 Pima Revolts --Pima Tribe vs. the Spanish in Sonora and southern Arizona. French and Indian Wars -The generic name given to the series of conflicts listed below. All four wars involved the French and their Native American allies against the British and their Native American allies. The wars ended with the British victory over the French and the subsequent takeover of French North America by the British. Kieft's War (1643-1645), also known as the Wappinger War, The war is named for Willem Kieft, who was the director general of New Netherland at the time. 2. Marley, David F. Wars of the Americas: A Chronology of Armed Conflict in the New World, 1492 to the Present. Santa Barbara, California: ABC-CLIO, 1998.